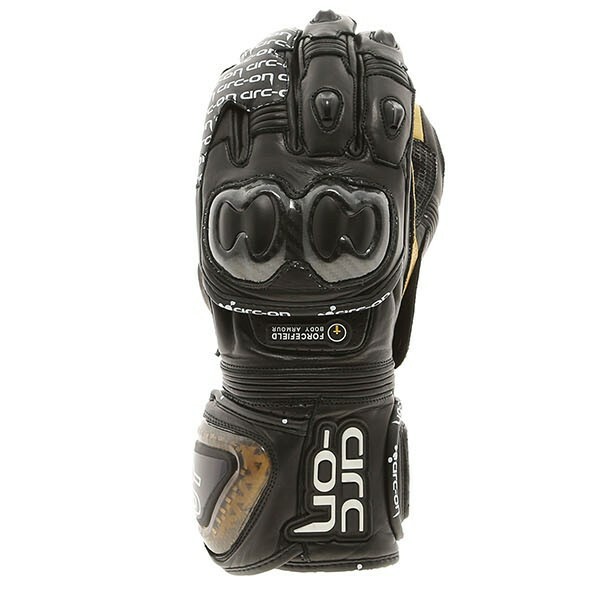 Bought these gloves as wanting the CE approval for trackdays and ride via France into continent. They are the dogs dangleys , look great, feel great and have CE rating to give confidence in the event of a spill. Fitted well from the off and felt like I had been wearing them for months, really give you confidence. Quality is outstanding, I have had some top brand names in the past, Knox, Dianese, Revit, all costing far more than what I paid for these and I would rate these better, more quality in the detail, stitching nice and clean, no frays on the edges, fingers that are straight with no twist. 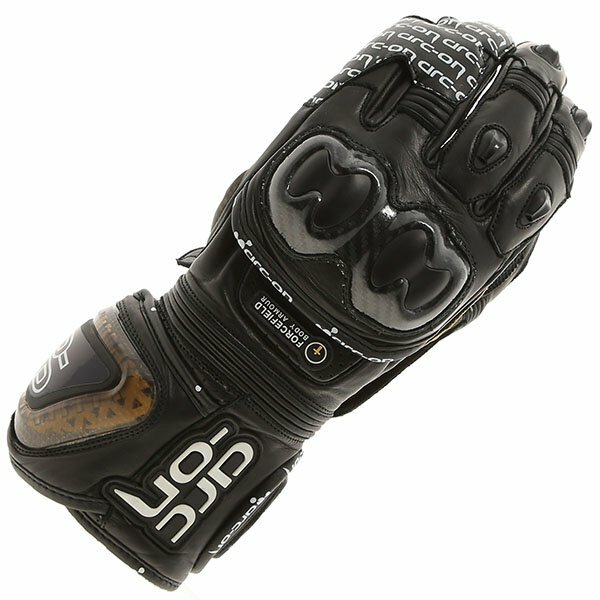 I been ridding all my life, 56 now, still on sports bikes and would have to say one of if not the best pair of gloves i have owned. Awesome gloves, very comfortable, fantastic leather and feel on the bike! Great protection!! Great quality product that fits (my hands) perfectly. Good levels of protection (luckily not tested). 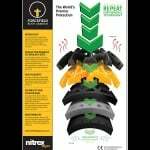 Easy and secure wrist fastening. Happy to be buying British! I tried a few different sets of gloves before settling on these. 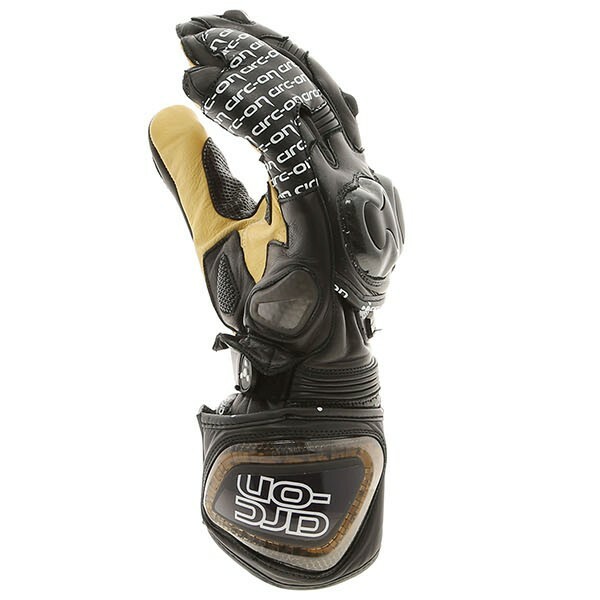 They fit superbly, offer a lot of protection and inspire confidence. 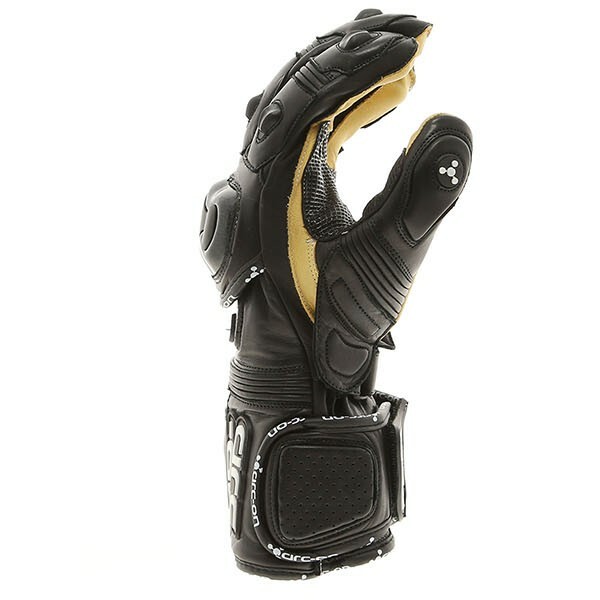 The price is reasonable given that they compare to the top of the line Dainese and Alpinestars offerings and the multiple Velcro straps make it easy to get them on and off whilst also allowing you to secure them very well. 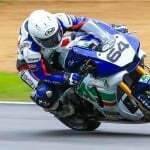 Also, I cannot fault the customer service of Sportsbikeshop - top notch! 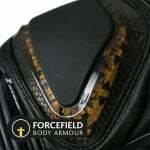 The first glove anywhere in the world to incorporate Forcefield body armour. Designed in conjunction with Forcefield the apex glove has pieces of Forcefield PVC Nitrile armour under the cuff mould, at the inside wrist knuckle and at the back of the hand. PVC Nitrile works by reducing the force transmitted to the hand on impact. 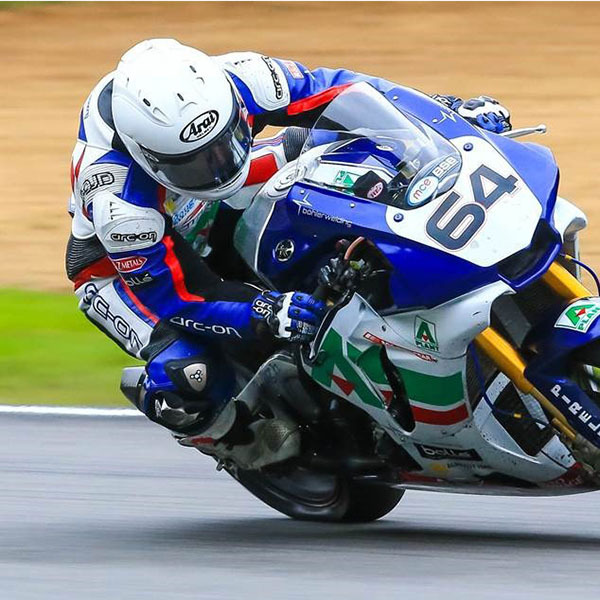 Manufactured completely from kangaroo hide the apex is light, offers great feel on the bars, and is tough enough to be used by our British Superbike Racers. 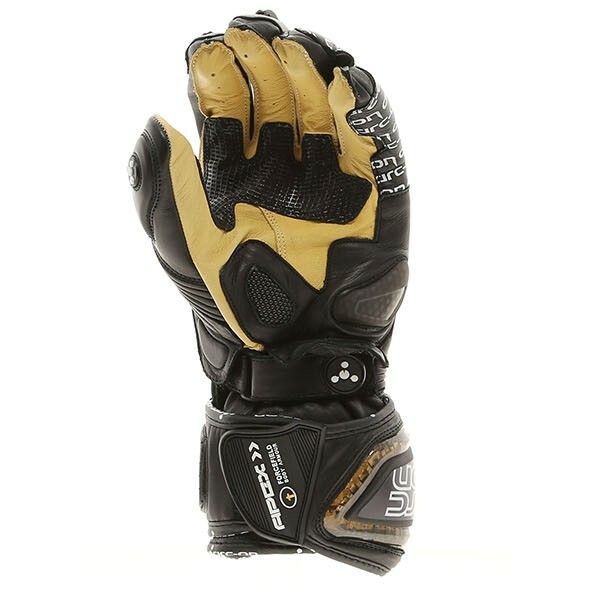 Set up in 2008 and run by bikers in the UK, arc-on is a product of a life-long love of motorcycles and a drive to produce outstanding motorcycle clothing. Each leather product is hand made, in either 0.9mm kangaroo hide or 1.4mm cowhide, using Oxley bonded nylon thread and other high performance materials such as stingray hide and SuperFabric. Arc-on's factory in Pakistan is both tannery and manufacturer so they are in control of the raw materials and construction at every step of the production process, maintaining the integrity of the product.